includes five plastic Churchill tanks, one Decal sheet and one plastic Commander sprue. 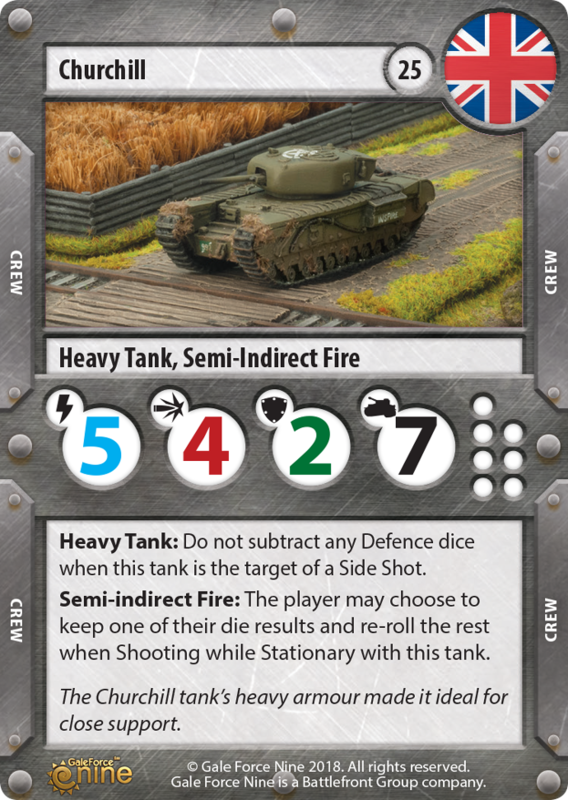 The Churchill infantry tank is designed to move at a walking pace ahead of the infantry, knocking out enemy machine-guns as they advance, secure behind its heavy armour. 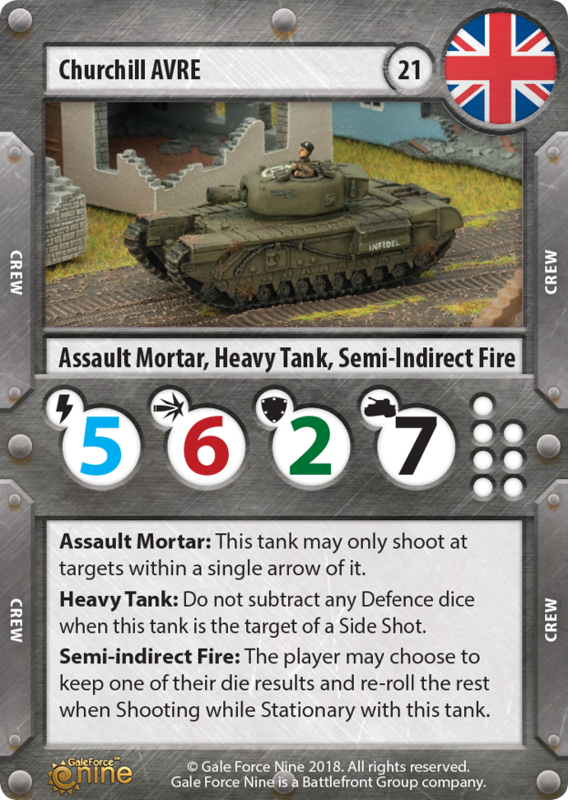 A British infantry division can expect a full brigade of 180 of these powerful tanks attached to it in support of its attacks! 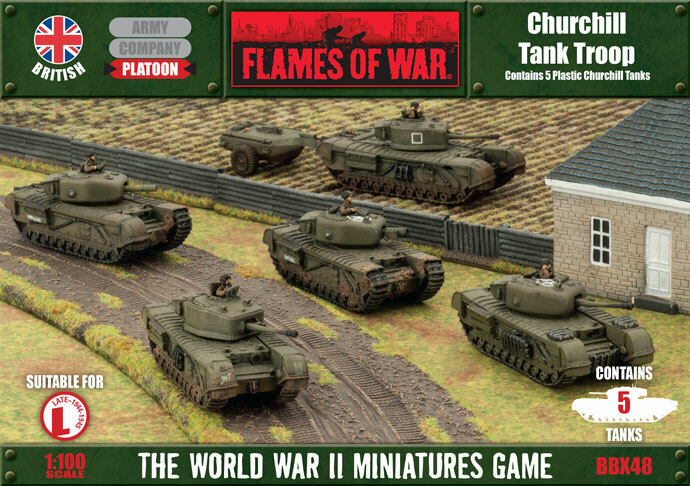 For our initial release of the new Late War plastic Churchill Tank Troop box set we've added some limited edition content. 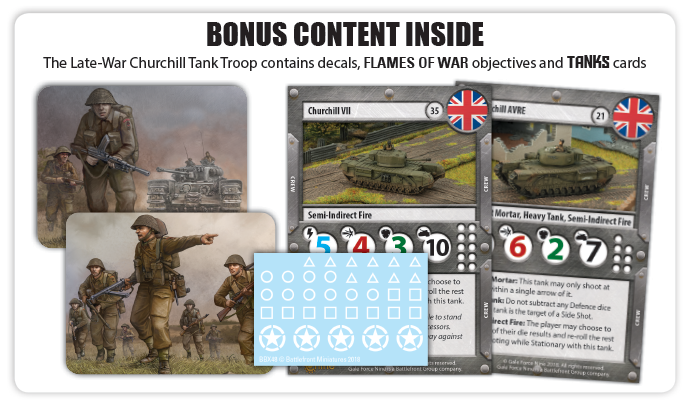 The bonus content includes two printed objectives featuring artwork by Vincent Wai of the iconic Churchill tank in action supporting the brave British Tommy and four cards for the World War Two tank skirmish game, TANKS. 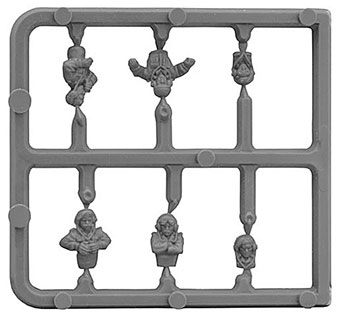 Stock is strictly limited so act now to avoid disappointment. 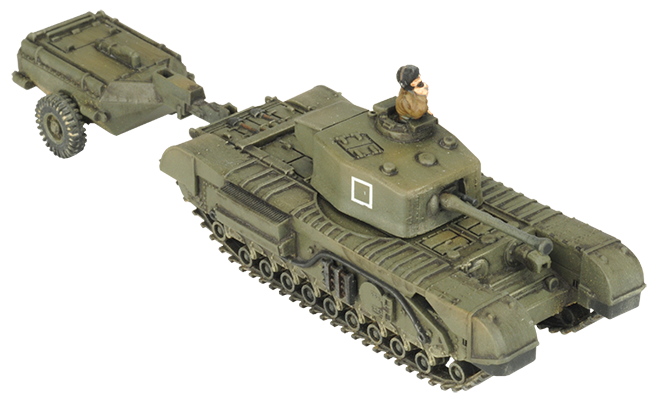 The Churchill 6pdr (also known as the Churchill Mk IV) was the most numerous Churchill produced and used from 1943 till the end of the the war. It shared many of the components of the earlier Churchill III and was armed with the reliable 6pdr. 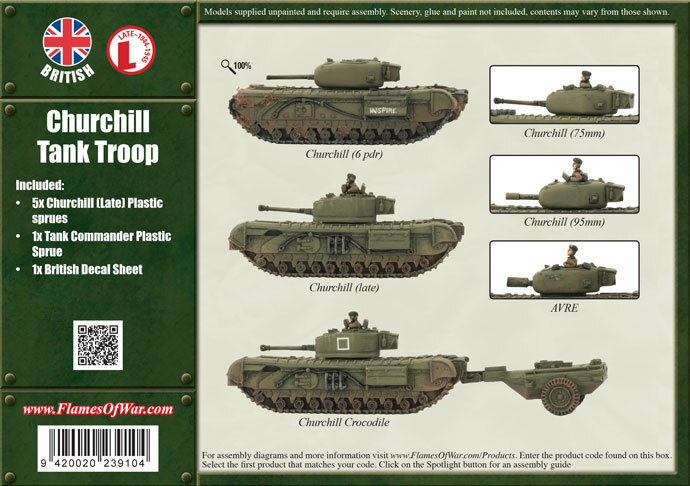 The design of the Churchill proved reliable and was used to great effect in crossing rough terrain. 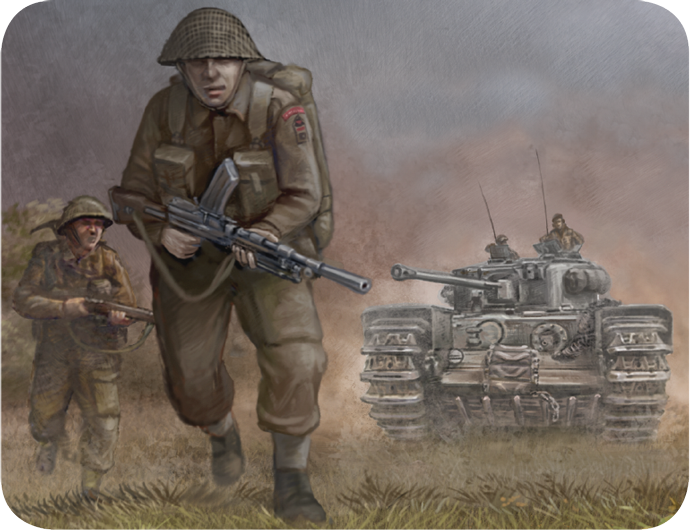 Combined with its armour that was capable of shrugging off anything but the most powerful anti-tank weapons. Below each version of the Churchill is an image of the plastic sprue with the appropriate parts highlighted in red. 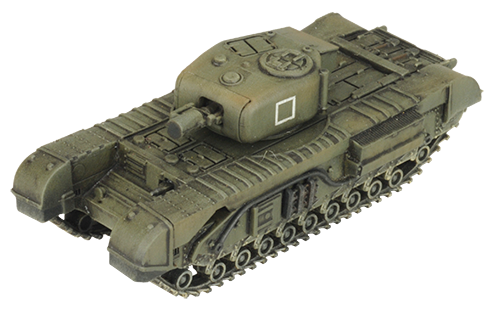 The Churchill (75mm ) (also known as the Churchill MK VI) had several minor improvements over previous versions with the 6pdr replaced by the 75mm Mark V OQF gun . The OQF 75mm was based on a bored-out 6 pdr with a muzzle brake added. 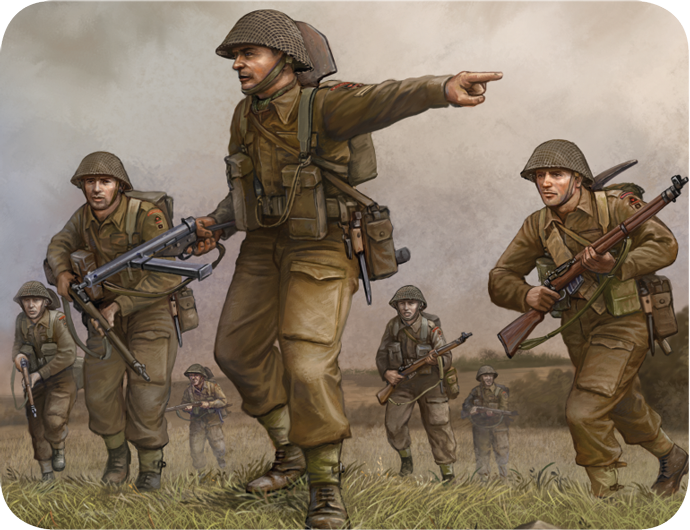 Chambering the same ammunition as the American Sherman; this meant that ammunition was in plentiful supply. 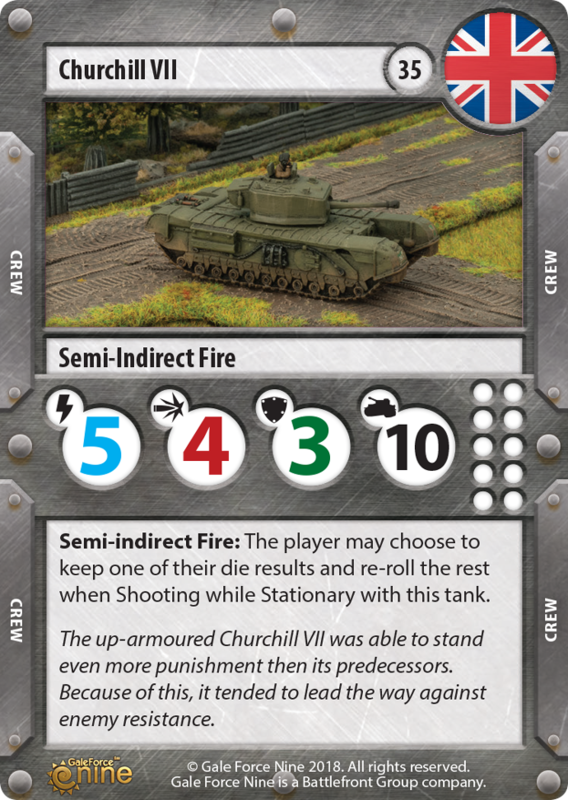 This was the most common Churchill type in Normandy. 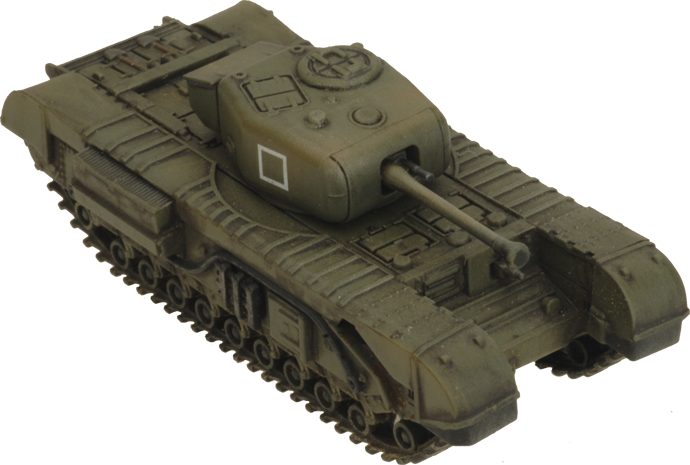 The Churchill (95mm) (also known as the Churchill V CS) was the close support version of the Churchill (6pdr) and was armed with a 95mm close-support howitzer in place of the main gun. 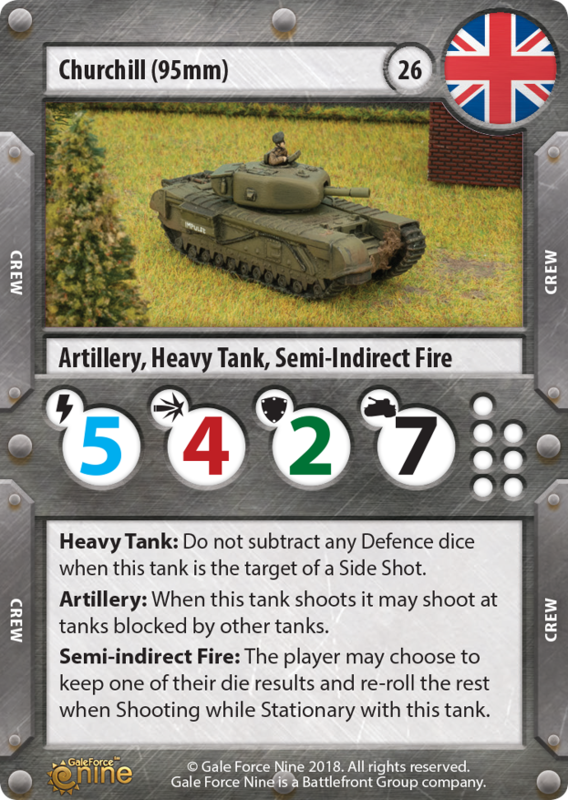 The howitzer is easily recognised due to its shortness and because it carried a prominent counter-weight on its muzzle. 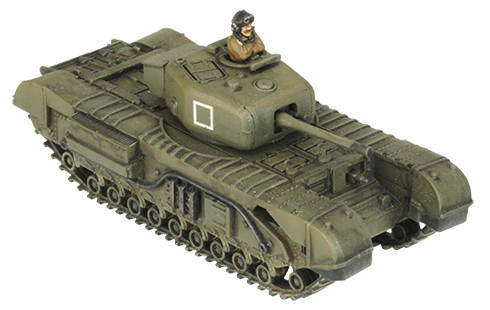 The Churchill (95mm) was usually fielded in the Squadron HQ to provide the unit with an ability to engage anti-tank guns and fire smoke ammunition to mask those it could not destroy. The Churchill (Late) (also known as the Churchill Mk VII) was the final production model of the Churchill infantry tank. It saw service in Normandy and France, Holland, Italy and Germany as well as the Korean War. It included many improvements over the Churchill (75mm). 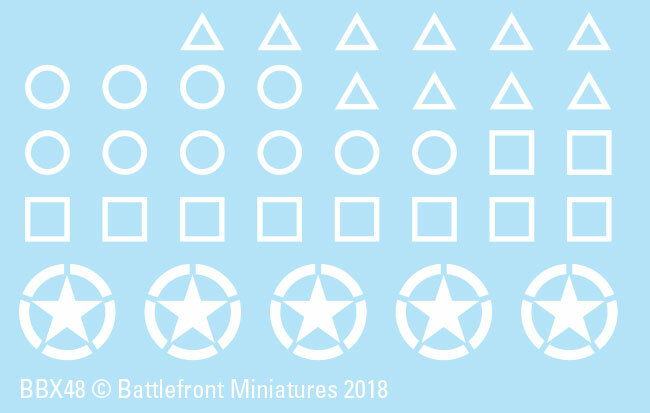 It was substantially up armoured and incorporated an improved turret of a composite cast/welded construction, including a lip running around its bottom to reduce shot traps. 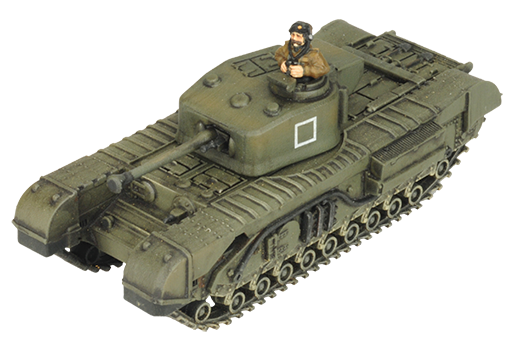 The Churchill Crocodile flame-throwing tank was one of the most feared allied tanks in Normandy. 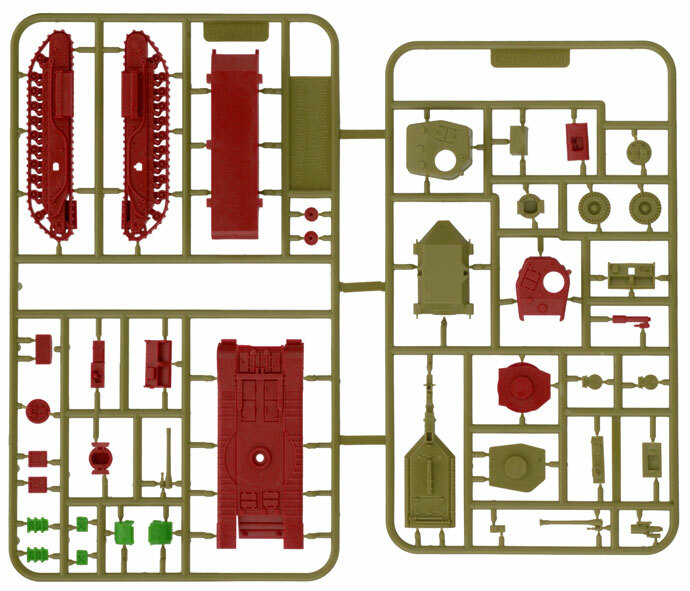 Its thick hide made sure that its crew remained safe from heavy German guns as they closed to deliver their deadly cargo. The flame tank was supplied by an armoured trailer holding 500 gallons (1800 litres) of fuel. 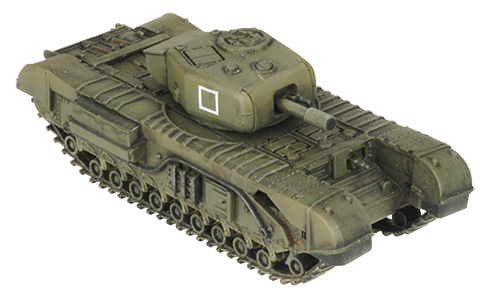 The Churchill AVRE (Armoured Vehicle Royal Engineers) was a Churchill infantry tank modified for engineering work. The main gun has been replaced with a Petard spigot mortar firing a 40-pound (18 kg) demolition charge. These ‘Flying Dustbins’ are capable of destroying any fortification at up to 80 metres range. In addition each AVRE carries a demolition expert and 26 demolition charges for use by the crew of fully-trained assault engineers.